This 300 KG capacity bunker has been designed specifically for the storage of coal, slack, wood and peat briquettes. Manufactured from medium density Polyethylene, a tough and durable material which is UV resistant. 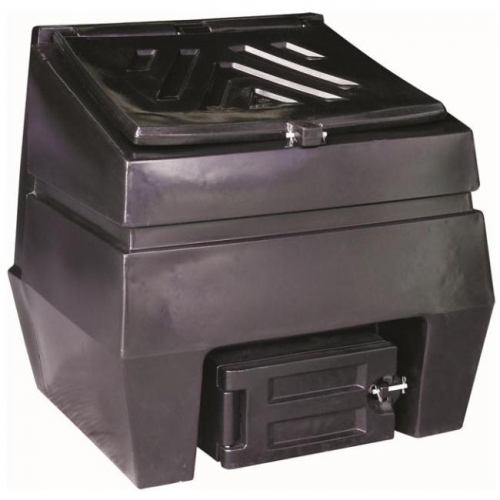 This coal bunker can be used in either outdoor or indoor locations. Strong and robust with a high impact strength, this coal bunker will last a very long time and will never rust or rot. Features a top and bottom opening for easy access.